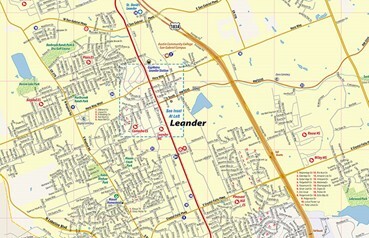 As the fastest growing city in Central Texas, Leander has experienced tremendous development with major retail shopping hubs, expansion of residential developments, Transit Oriented Development (TOD) progress, population reaching over 55,000 as well as additional schools, restaurants and small businesses. be the final stop on the Capital Metro Rail. have the third largest H-E-B store in Texas, the Leander H-E-B Plus, part of a 225,000-square-foot shopping center. have Lowe’s anchoring The Gateway at Leander; a 300,000-square-foot retail center. be home to Dennis Steel, Suncoast Post-Tension, and One Source Manufacturing. be home to St. David’s HealthCare and the ACC San Gabriel campus. In the coming year, roads will be widened, water and wastewater lines extended and overall power service and telecommunications will be improved throughout the city. 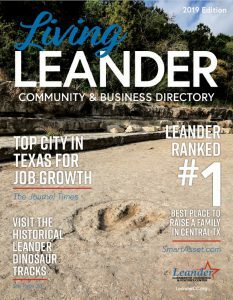 This combination of private and public sector investment will improve Leander’s competitive advantages, leading to the ultimate goal of increasing the community’s appeal as a destination of choice to live, work, and play.